When it rains it pours right? 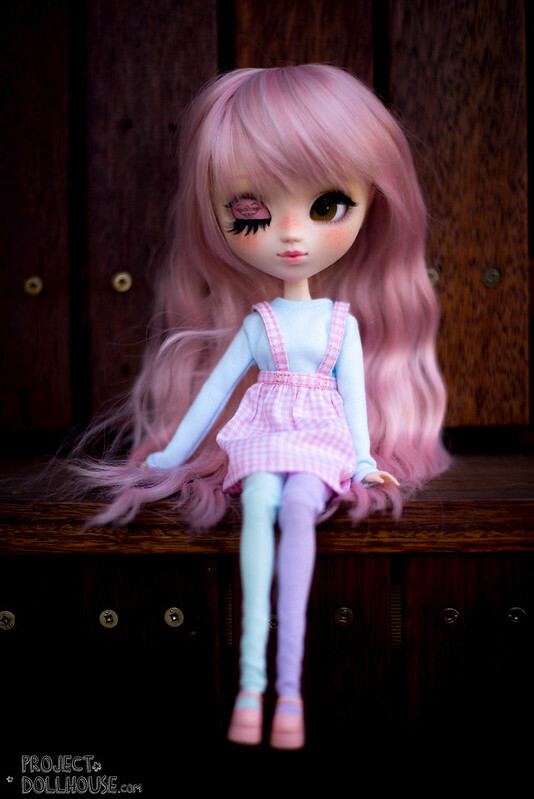 I lusted over Poison Girl Pullips for the longest time, and I would wake up in the middle of the night (3am) to attempt to bid on or purchase one of her girls. Girls would dissapear within seconds – my internet could barely catch up. Toffee arrived recently and I was completely smitten. A few days later I was browsing facebook, when Chibi suddenly appeared for adoption. I pounced. Time differences later, Chibi came to live at Project Doll House. And I was over the moon. Chibi was created in April of 2015 from a Make-It-Own kit by Maria of Poison Girl. 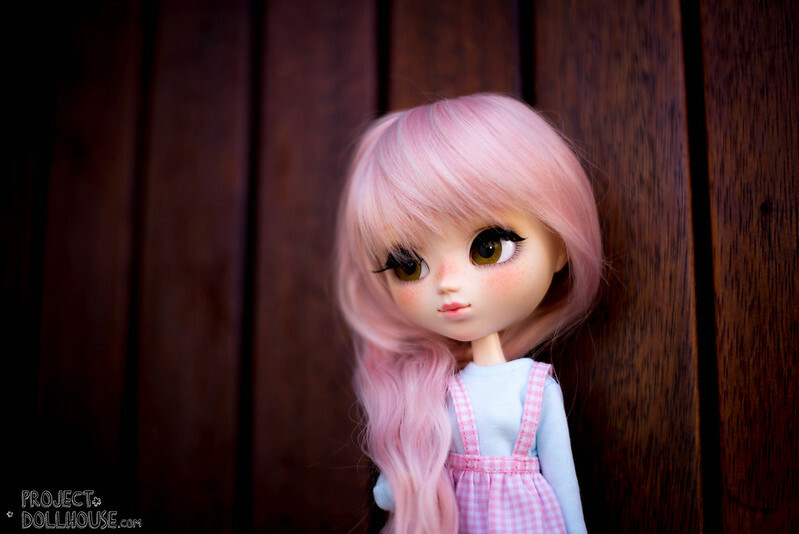 She’s a pink-haired beauty and was delivered wearing Ronmielshop clothes. I bought her second hand from her first owner and she arrived packaged beautifully, just as Maria would have sent her to travel (she came in her original Poison Girl box). The outfit is adorable right? I wasn’t such a huge fan of her pink hair to start with when I saw her photos online, but in person, it’s such a soft and gorgeous colour. 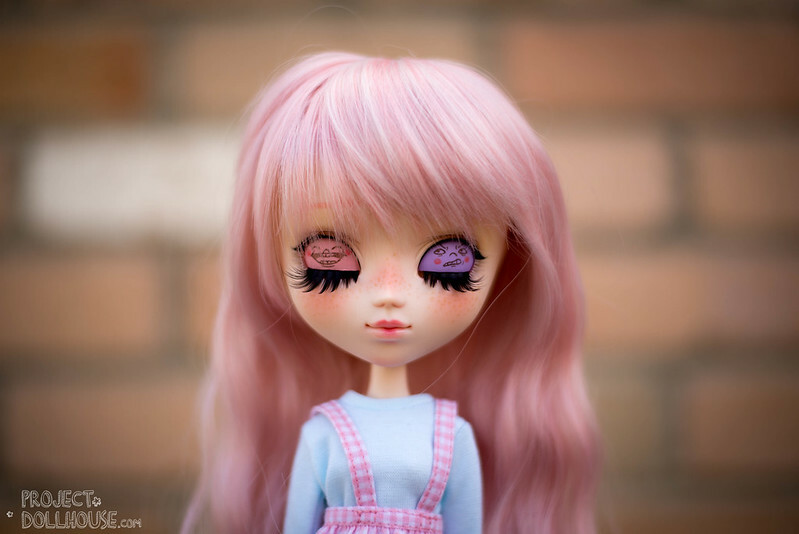 She has a gorgeous signature Poison Girl faceup, with olive eyes and peachy blush and freckles. She has pretty eyeliner, and plump rose-pink lips. She has super-cute eyelids with two faces drawn on them! One happy face on the pink and a grumpy face on the purple. I am completely in love with her. However, she did come with some major problems (which have now been fixed!) – which I will address in another post. They don’t take away from how beautiful she is though.